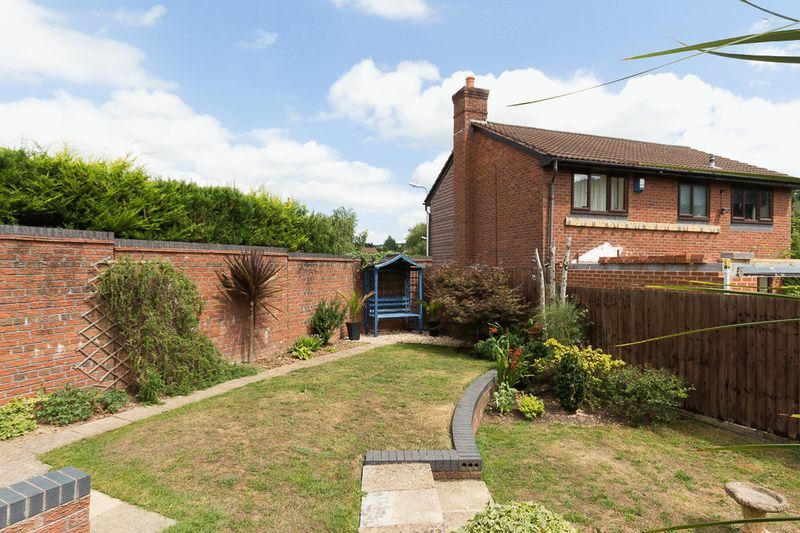 A wonderfully presented detached 4 bedroom family home situated on the much sought after Lawn Drive. 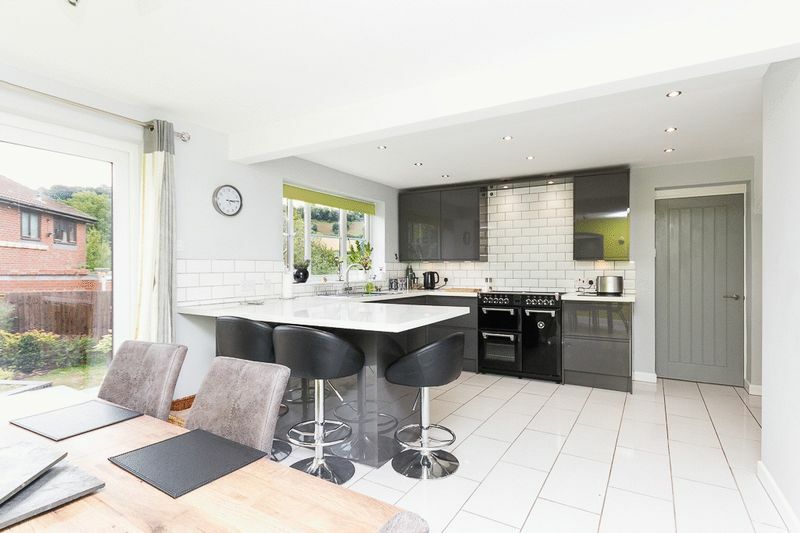 This property benefits from a recently refurbished, modern kitchen diner, a nicely landscaped rear garden, double width driveway, garage and is located within a short walk to local amenities and the highly respected Chudleigh primary school. Viewing is highly recommended to appreciate all this property has to offer. Entering the property via a covered storm porch into the welcoming entrance hallway, you are greeted by the fantastic standard of decoration consistent throughout the property. There is a cloakroom to the right housing a WC and hand wash basin with a feature porthole window to the front aspect. 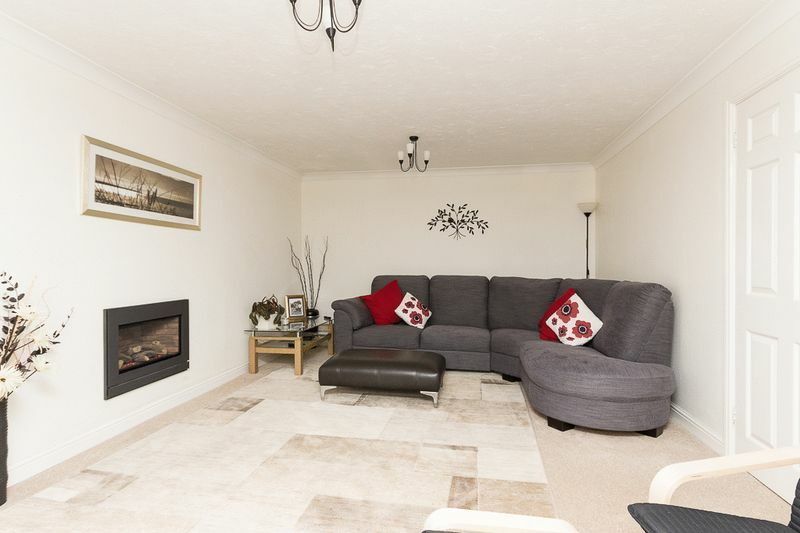 The living room is of a generous size and benefits from a large bay window to the front of the property looking over the approach and established front boarder. There is a recessed 'Gasco' living flame gas fire fitted which gives the room a real focal point and a modern contemporary finish. 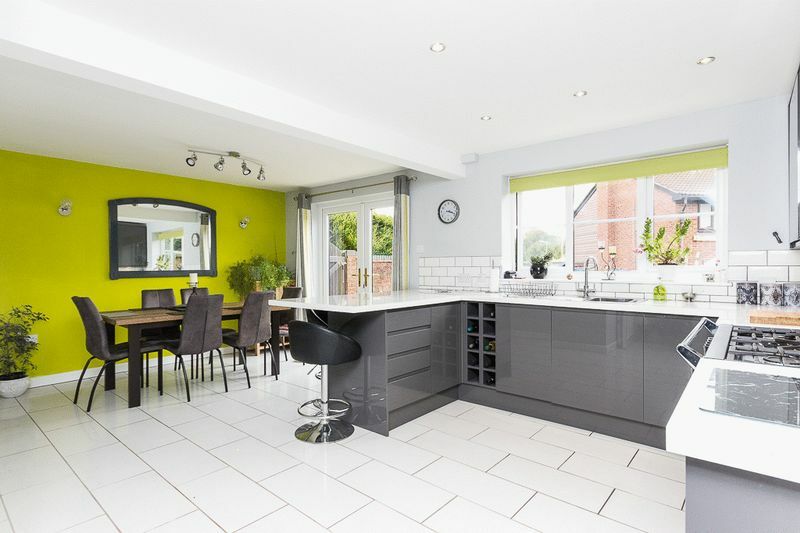 The open plan kitchen diner is the real heart of the home after undergoing extensive refurbishment and is a real testament to the taste of the current owners. 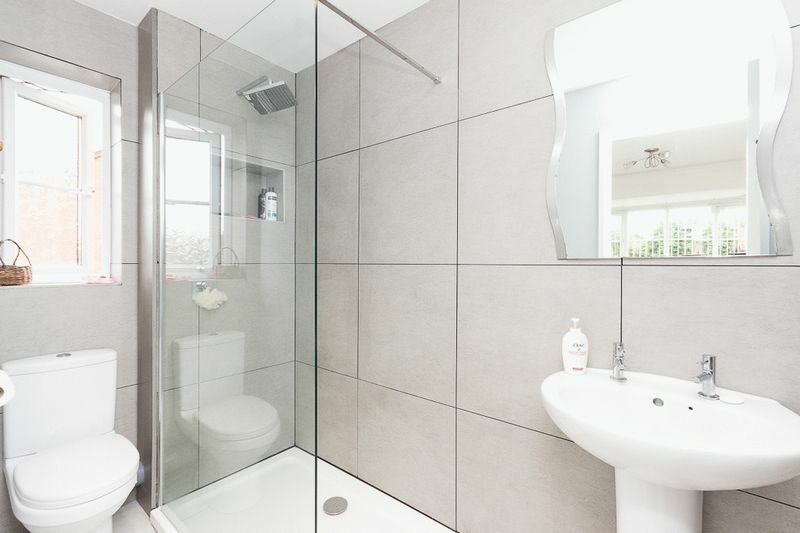 The room is fitted with porcelain tiled flooring which benefits from underfloor heating, perfect in the colder months! 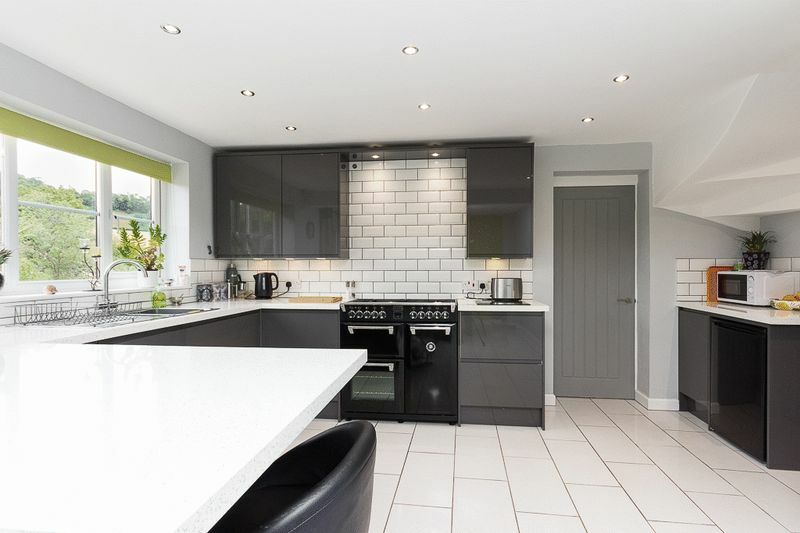 There are a range of gloss finish anthracite grey wall and base units fitted with a white granite effect worktop and matching metro brick style splash backs with dark grouting. There is space for a range cooker, an integrated dish washer and a stainless steel sink beneath a large window overlooking the rear garden. 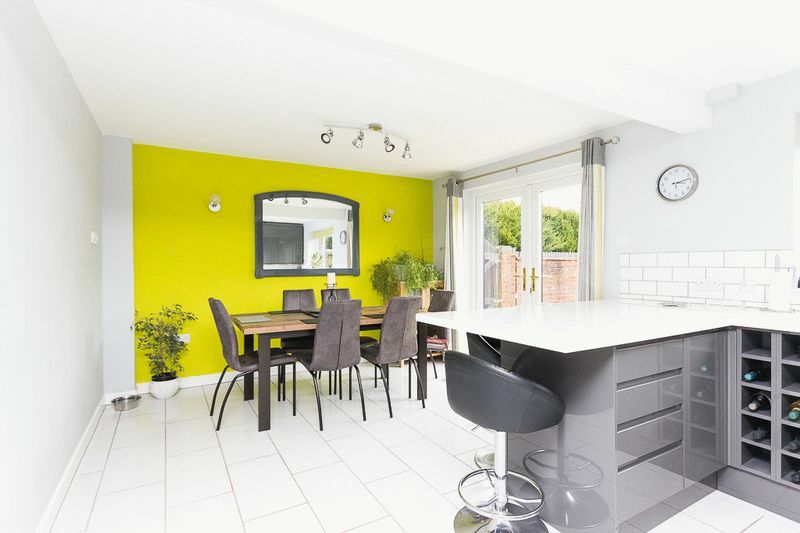 The dining area gives plenty of space for a family sized dining table whilst allowing for views onto the garden. Accessed off the kitchen is an unusually large utility room. 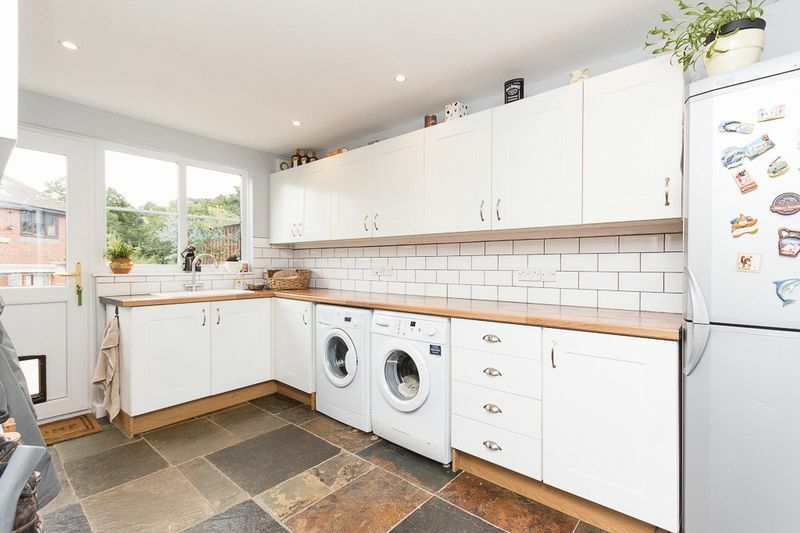 Fitted with tiled slate flooring, long rolled edge worktops with a sink, drainer and mixer tap, wall and base units and plumbing for under counter appliances. There is also a door leading directly into the garage. Rising up the stairs to the first floor landing which has doors leading to to the family bathroom and 4 bedrooms, 2 of which are generously sized double rooms. 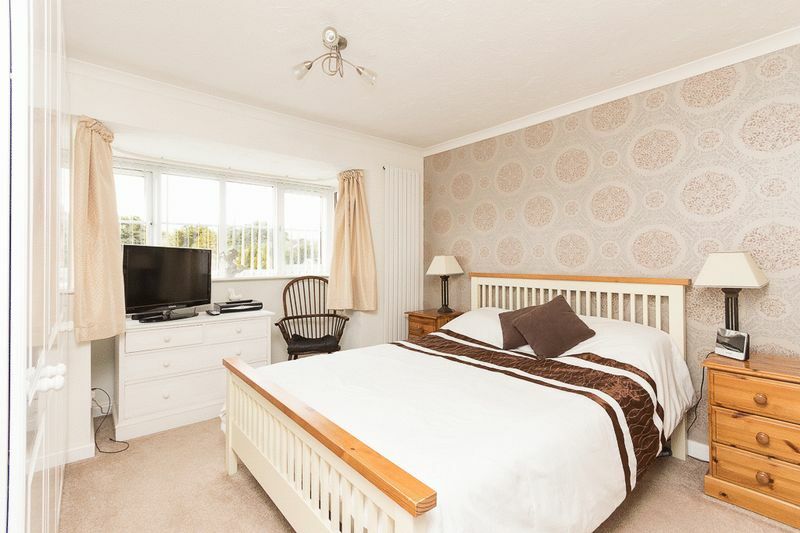 The master bedroom is located towards the front of the property, is of a good size and benefits from a built in double wardrobe, and a modern, tiled en-suite shower room comprising of a WC, pedestal wash basin and a large shower enclosure. 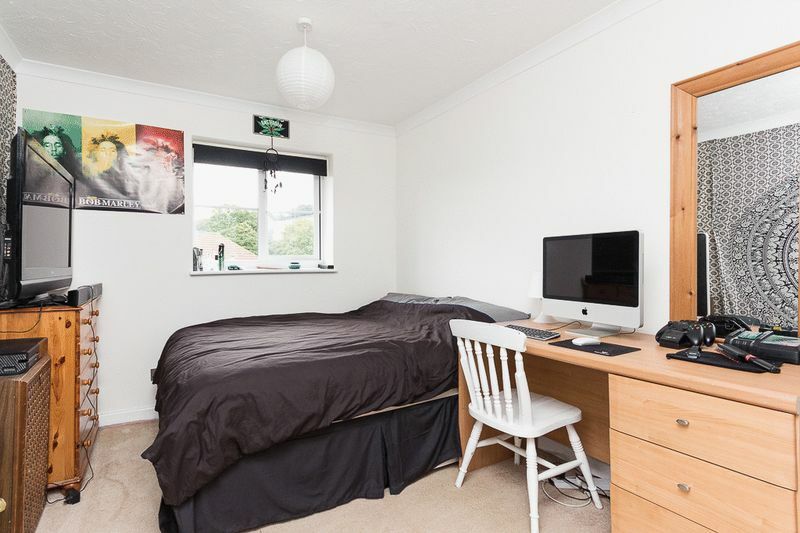 Bedroom 2 is another good sized double room and benefits from a window to the rear aspect giving views over the rear garden and of the nearby fields. 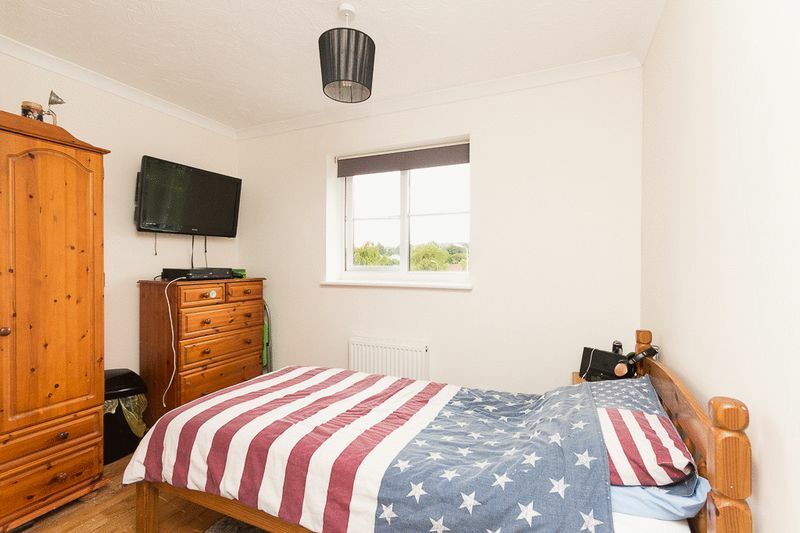 The two further bedrooms are large single rooms with bedroom 3 being located at the rear of the property and bedroom 4 to the front. 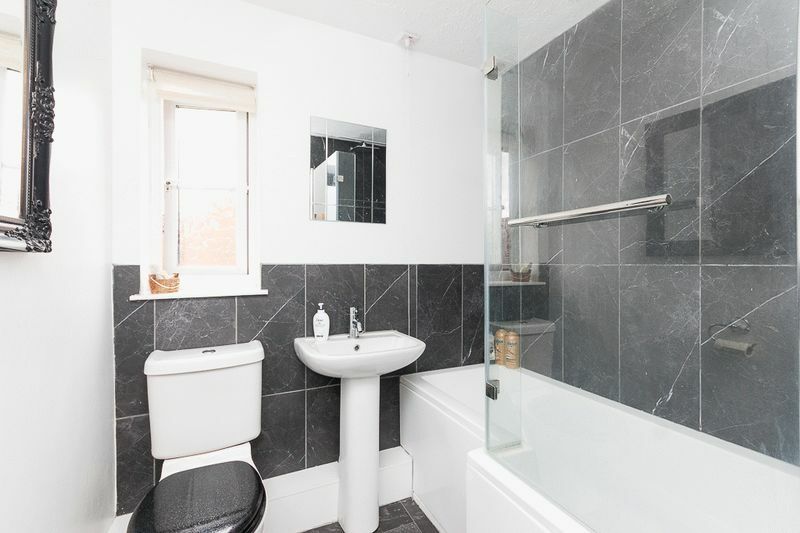 Completing the upstairs is the family bathroom which has been tastefully decorated in marble effect wall and floor tiles, there is a modern 'L' shaped panel bath with a glass enclosure and shower over, a pedestal wash basin and WC. 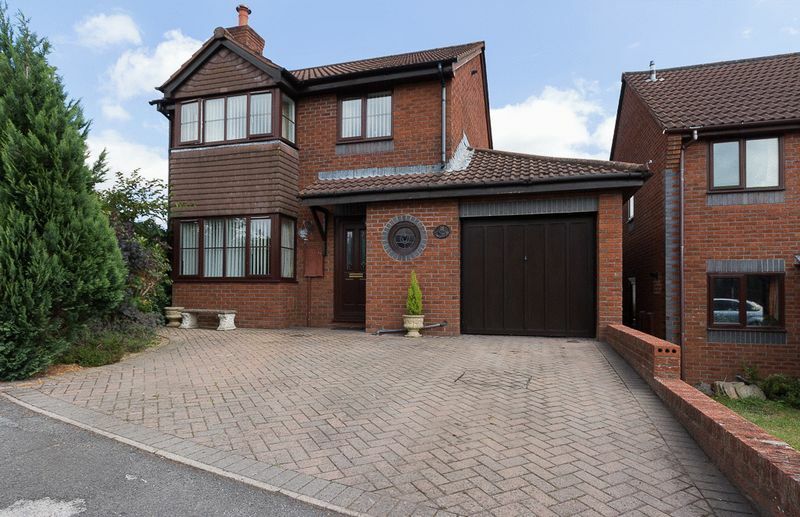 To the front of the property there is a paved, double width driveway leading up to the property's main entrance and the garage which is fitted with an up and over door and internal work bench. To the side there is a well stocked planted area containing a variety of established plants, shrubs and bushes. A side gate gives access to the rear garden. The garden can be accessed from either a side gate or via the French doors in the dining room. There is a large area of decking directly off the patio doors providing the perfect spot for patio furniture and a barbecue in the warm summer months! 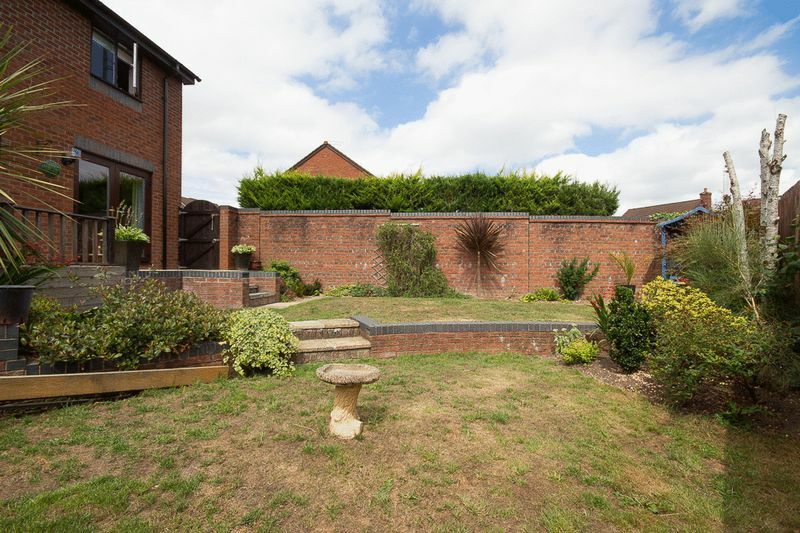 Steps lead down to the tastefully landscaped lawn area, which has a range of established boarders with log edging, well stocked with a range of shrubs and plants. From our office at 31 Fore Street, Chudleigh, proceed past the Church. Turn left into Lawn Drive. Continue on Lawn Drive as it begins to sweep around to the left. 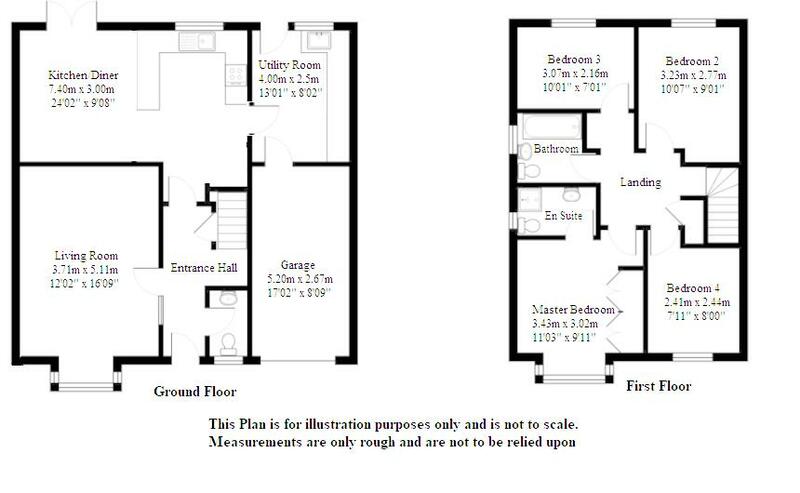 The Property is located in the Cul-de-sac on the right hand side, signposted numbers 8-18.